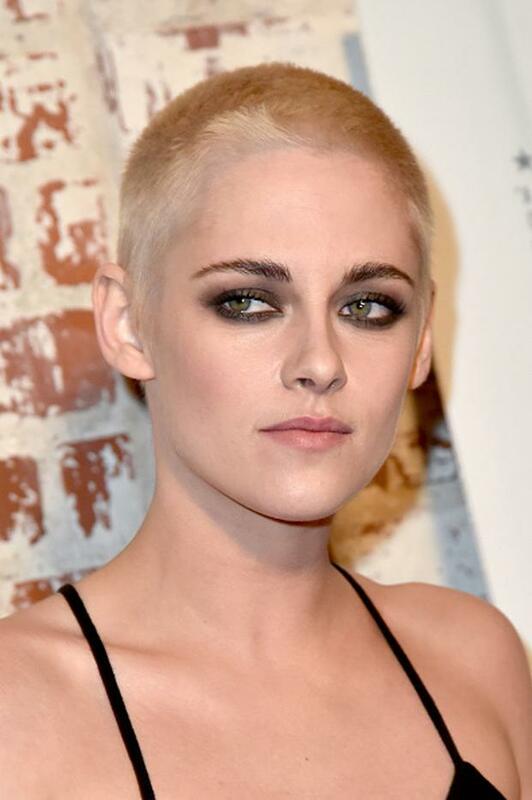 Kristen Stewart has debuted a shaved hairdo at the premiere of her latest film, Personal Shopper. The Twilight actress took to the red carpet in Los Angeles to show off her new look, which also sees a change from brunette to platinum blonde. Her hairstylist Bridget Brager posted a photograph of the transformation on Instagram, writing: " We tried something a little different today." The actress, 26, showed off her lighter locks earlier in the week as she posed on the cover of V Magazine. Reports say her dramatic new look may be for an upcoming film role. According to Variety, she has recently signed on to star in thriller Underwater, which sees a crew embark on an ocean mission after an earthquake. Stewart would not be the first actress to shed her long hair for a film role. Demi Moore famously shaved her head for Ridley Scott's 1997 action film GI Jane, while Sigourney Weaver did the same five years earlier for Alien 3. Talking about her shaved head, Weaver told Starburst magazine she "felt colder most of the time, and other than that, I just felt lighter". A definitive ranking of male RTE presenters' hair - who is top of the mops?